This is a very busy and complex division which supervises the administration of thousands of insolvent estates every year. Estates are usually administered by professionals, who know the functions and procedures. Although insolvency procedures are too complex to explain in a page or two, the information below may be of interest to the public. As from the 01 April 2018, all Requisitions lodged to the Masters Offices Must be Original. No Copies, Emails or Faxed Requisitions will be accepted. The Section 9(3) Security will also be increased to the amount of R30 000-00 as from the 01 April 2018. 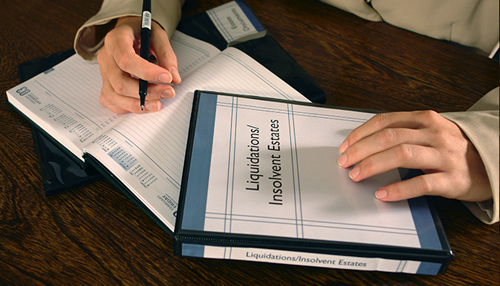 Follow this link for the list of Active Insolvency Practitioners in South Africa. The information in this processes dashboard is provided without any representations or warranties, express or implied. The Department of Justice and Constitutional Development, Master’s Branch and its officials or functionaries are not responsible for the correctness of the information contained in this processes dashboard provided by other parties and do not accept liability for damage or loss based or resulting from reliance on the information. The purpose of this processes dashboard is merely to ensure transparency in the insolvency process. New Companies, 2008 (Act 71 of 2008) [1.2MB] and the Regulations (Part A [2.95MB], Part B [4.13MB] and Part C [8.48MB]) under the Act. Kindly take note that as from 1 January 2018, all Insolvency and Liquidation matters where Court orders are issued in the Limpopo High Court or voluntary liquidations where the registered address falls within the jurisdiction of the Limpopo Province, will be dealt with in the Master of the High Court, Polokwane. Please ensure that all documentation, including notices of motion, Court orders and requisitions for these matters are submitted in the at the Master’s Office. Polokwane. Your cooperation in this regard is much appreciated. Herewith the results assessment /analysis of the May 2018 intake of Insolvency Practitioners. 29 participants were shortlisted for the assessment process of which 10 candidates passed. The table below reflects the outcomes of the assessments per assessment centre. Note: Closing date for the next intake is 30 September 2018. When may an insolvent apply for rehabilitation? After 10 years have expired an insolvent is deemed to be rehabilitated unless a court orders otherwise upon the application of an interested person. Such an application must be made within the ten year period.